By nature, I have always been a pessimist. “I can’t do it”, “it’s my fault”, “what if…?” are commonplace in my vocabulary. The mentality behind this disposition always appeared grounded in logic. If one can preempt disappointment, then perhaps one can also cushion the accompanying blow. Recently, I have began to reevaluate this position. If I consider my adopted approach and its rate of success, it becomes apparent that life’s greatest disappointments have in no way been softened by this negative perspective. Those moments of true disappointment – whether anticipated or not – can never be fully realised until experienced. The blow is inevitable and the fact that you have imagined its occurrence in no way counters the accompanying feelings of displeasure. In similar fashion, by adopting an overall negative stance in life, the “pleasant surprises” that Stout refers to are often overshadowed by alternative worries and potential threats. Pessimism becomes a permanent state of being as opposed to a temporary reaction. In-keeping with Buddhist tradition, by maintaining this distorted view of life we shoot ourselves with two arrows. The worry and doubts might be seen as providing the initial blow, while the ensuing reality, whatever this may be, acts as a second arrow. If we eradicate the negativity that surrounds our thinking, we might be able to avoid at least one wound. Furthermore, we might find that we can cope more effectively with life’s disappointments with thoughts of hope and optimism, rather than being blinded by doubt. 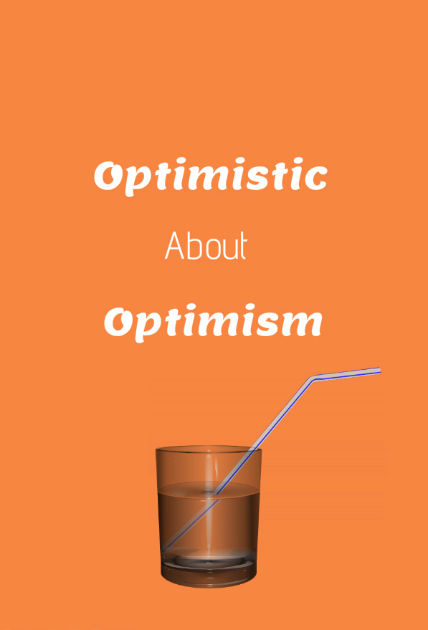 Proponents of pessimism would argue that their beliefs are grounded in reality: that pessimism reflects likely outcomes while optimism focuses on far fetched, idealistic results. In some cases, this may be so. However, these negative thoughts have the propensity to be much more damaging than their counterparts. Where pessimists feel they are one step ahead, avoiding problems, they may in fact be creating them. The concept of the self-fulfilling prophecy has been well established since ancient Greece. It rests on the principle that belief in your own prophecy may sufficiently influence your actions in order to bring that prophecy to fruition. Take the rather arbitrary example of believing you’ll get fired versus believing you’ll get a promotion. Which is more harmful? Which is likely to effect your actions in negative way? It is a choice or a philosophy for some people – a school of thought based on sound arguments and beliefs. Their glass is half empty and they have no interest in topping up. It is a product of one’s environment, perhaps learned through relationships with peers or previous experiences. They are most likely unaware of their outlook. It is a genetic disposition believed to be “unfixable”. This last instance is the most problematic. Research has indicated that some of us may in fact be “born with a frown” (Richie Holterman). For an unfortunate number of us, this negative line of thinking is hardwired and it will take a lot more than a pat on the back and a message of “Cheer up” to bring about any significant change. Fortunately though, there has been concurrent research to suggest that our brains are much more malleable than we previously thought. Just as we exercise the muscles of our body, we too can exercise the muscles of our mind. It turns out you can teach an old dog new tricks. With the aid of alternative techniques and practices, we can learn to reframe our thoughts and adopt much more positive ways of thinking. We can take some comfort in the fact that we are not destined to “be” a certain way but have the ability to choose our own course. In the end, the contents of the two glasses are the same and which glass we drink from is according to our own tastes. As for me, I think I’ll take the glass that’s half-full; it seems to taste sweeter.